I've tried a few fragrances from niche house Vilhelm Parfumerie, and although I often enjoy their names and descriptions, the scents themselves have never quite hit the emotional sweet spot that makes me want to own them. However, Kevin and Robin have both praised recent releases from Vilhelm, so I'm back to try Harlem Bloom. When I sniffed Harlem Bloom on a paper blotter in a store, I noticed lots of saffron and some dry, dirtied-up rose. At home, wearing the fragrance on my skin, I notice that the saffron introduction fades out quickly, leaving room for lots of leather to wrap around the rose. Actually, now that I carefully inspect my little lab bottle of this fragrance, I can see that its original lab label (dated June 2016 and now covered by a newer Harlem Bloom label) reads "Leather Rose." Yep. The leather note pulls Harlem Bloom much closer to the traditionally masculine end of the spectrum. This leather isn't sweaty or smoky. Instead, it has more of a new-leather-jacket feel. I suppose it's more "wild" than the suede-d heart of Galop d'Hermès (another saffron-rose-leather combo) — everything is relative, of course. The florals stay subtle and gradually dissipate, while the leather keeps going strong with some amber-y warmth in the base. Harlem Bloom has moderate sillage and above-average staying power on my skin. Vilhelm's Harlem Bloom isn't the first olfactory homage to Harlem: Bond no. 9 was there first, with 2003's New Haarlem, and Harlem Candle Company, founded in 2014, offers luxury candles inspired by the neighborhood's history and culture. I won't digress here about the ways that Harlem has changed during my lifetime; it's not really my story to tell, and it would take too much space in any case. Vilhelm Parfumerie's Harlem Bloom may be one perfumed interpretation of Harlem, but there's still plenty of room for others to come. So, did Harlem Bloom win me over to Vilhelm? I'll admit a growing respect for this house. The fragrances never smell dumbed-down or cheap, and they offer enough variety within the line while maintaining a continuous sensibility. They're just not my style, in the same way that a tailored pair of trousers or an expensive menswear wristwatch just looks wrong on me. If, however, you've been enjoying Vilhelm's releases thus far or you're looking for an androgynous leathery scent with a hint of spicy rose, you should definitely "visit" Harlem Bloom. 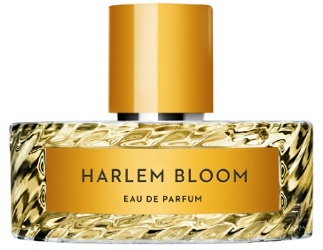 Vilhelm Parfumerie Harlem Bloom Eau de Parfum is $245 for 100 ml. You can find the brand at Barneys or Liberty of London. 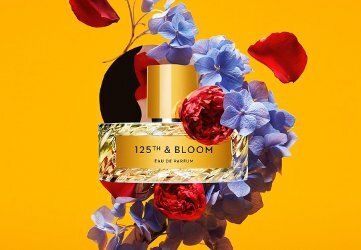 Update: Harlem Bloom was renamed 125th & Bloom in 2018. Galop is more my style…but also pricey! Vilhelm does offer travel-size atomizers of certain scents…but not this one, as far as I can tell. Maybe eventually? That would be good! Yes I’ve just found out from review that Galop is also pricey.. Oh bother! Still so many lovelies to discover and collect. I just got a little 3ml travel spray of Fleur de Cassie, (£7, which was pretty good as those little ones go for silly money!) and two little 15ml bottles of Terracota- all for just over £25, so I’m very happy! I haven’t been drawn to this brand because of the awkward bottles. The upside is that if I do find one that I like, I’d be happy with a decant. I’ve been intrigued by the idea of a rose leather ever since Galop was announced and was dissappointed not to find much leather in it. I’ll be interested to see how this one works. I wonder if the Harlem connection had anything to do with the rose in the song Spanish Harlem, which “only comes out when the moon is on the run”? Ooh, I like that. I remember that song! Maybe? I think the song refers to “East Harlem”… not sure where Vilhelm’s founder lives in Harlem, though.